Cool Music Variety live broadcasting from USA. 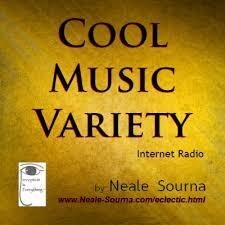 Cool Music Variety is one of the most famous online radio station on USA. They broadcast various kind of Classic oldies, classic pop, classic R&B, classic rock, classic hip hop, classic jazz, swing, film music, symphony, world music, newbies, song originals, song covers, and more.